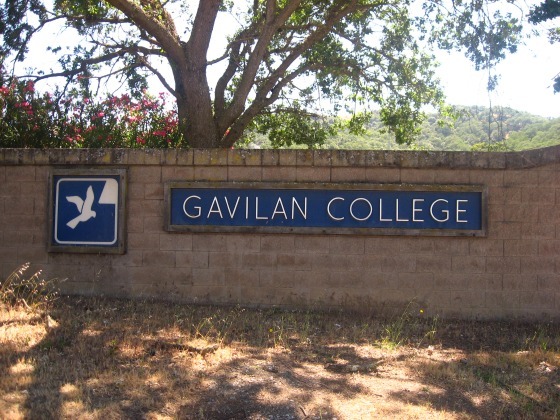 Gavilian College was first established in 1919 as a San Benito County Junior College. In 1963, new community college districts were drawn that enabled an expansion into Santa Clara County and in 1966 their main campus was established on Santa Teresa Boulevard in Gilroy. In the late 90s, new facilities were added in Hollister and Morgan Hill to augment the Gilroy campus. Now the college is expanding yet again. Gavilian College is going to build a brand new campus in Coyote Valley. In fact, it will be the first real development project in this area. The first phase will only consist of a 28,000 SQFT facility that will provide evening courses and a training facility for public safety--both police and fire. Phase two will be much more ambitious and will include 554,000 SQFT of instructional space and enough room for 10,000 students. The vision for the site plan includes multiple 3-5 story buildings, labs, athletic facilities, a gym, and several parking garages. The first phase will break ground on December 4th. Phase two will take about a decade to be fully realized. I think we can all agree that additional educational facilities can do nothing but benefit Silicon Valley, especially in South San Jose where there are fewer options for higher education. Gavilian will be a welcome addition to San Jose and a great way to kick off development in Coyote Valley. The new Gavilian College campus will be located at 560 Bailey Avenue in South San Jose.